Are you taking the GRE soon and are worried about the difficulty level of the test? Just how hard is the GRE, really? 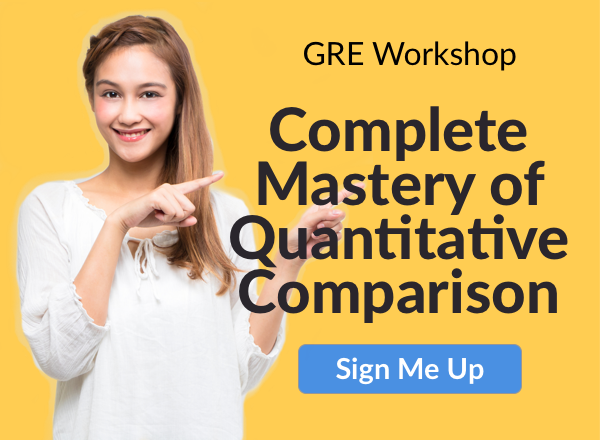 In this guide, I’ll compare the GRE’s difficulty level to other standardized tests you may have taken to give you an initial sense of how tough it is. I’ll then explain each of the aspects of the GRE that make it challenging, as well as those that make it easier than you may think. Finally, I’ll end with some tips to help you be prepared for the GRE on test day. How Hard Is the GRE Overall? The easiest and fastest way to get a general sense of the GRE’s difficulty level is to compare it to other standardized tests, one or more of which you’ve likely taken in the past. 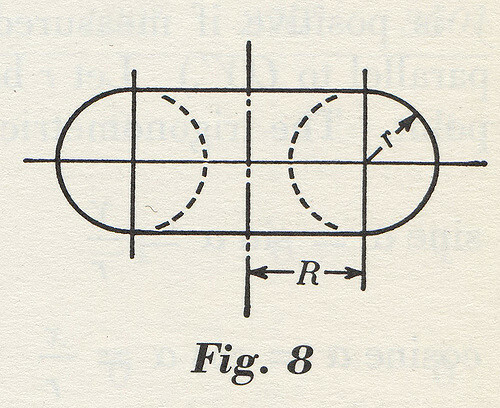 Compared to the ACT and the SAT, the GRE is typically considered more difficult because, even though the math tested on the GRE is a lower level than the math tested on the SAT and ACT, the GRE has more challenging vocabulary and reading passages, and the math problems have trickier wording or require higher-level reasoning. Compared to other graduate exams, such as the MCAT, LSAT or, GMAT, the GRE is often considered less difficult because the GRE requires less specialized knowledge, has an easier curve, and generally has less-challenging math questions compared to other graduate exams. So, generally the GRE is more challenging than college entrance exams such as the SAT and ACT but less difficult than other graduate admissions tests like the MCAT, LSAT, and GMAT. In the next sections, we’ll look at what exactly makes the GRE challenging and what aspects of the test may make it less challenging than you’re expecting. What Makes the GRE Hard? Why is the GRE hard? Below are six of the exam’s most difficult aspects, along with who is affected most by each factor and what you can do to help overcome the issue. One of the more difficult aspects of the GRE is its vocabulary. Fully half of the Verbal Reasoning section tests your knowledge of some pretty obscure and sophisticated vocabulary. Throughout this section you’ll be asked to select words or sets of words to fill in the blanks in sentences. Even if you did well on vocab questions on the SAT or ACT, the GRE has more challenging vocabulary, so you’ll likely still need to do some review. Who This Affects Most: ESL students not as familiar with the English language. How to Overcome It: Fortunately, the GRE repeats many of the vocab words it tests, so you can study and become familiar with the most common vocab words by making flashcards and quizzing yourself. Most people who take the SAT or ACT do so while they’re in high school and likely taking regular math classes. However, for some people who take the GRE, it may be years since they’ve last taken a math class or had to put their geometry skills to use. Or you may just have always disliked math and thought you were done with it once you finished your undergrad math requirements. Either of these situations can make the GRE harder because you may have to make up a lot of ground in order to get your math skills to where they need to be. The Quantitative Reasoning section of the GRE tests algebra, geometry, data tables and graphs, and basic statistics, so you’ll need to have solid knowledge of each of these areas in order to do well on that part of the exam. Who This Affects Most: People who haven’t taken a math class or used a lot of math recently, such as humanities majors, and those who’ve never been comfortable with math. How to Overcome It: Prep books are a great way to improve your knowledge of GRE math. There are many prep books available to help you become more familiar with the math tested on the GRE. You can also supplement with additional resources, such as math videos from Khan Academy, if you’d like more in-depth information on a topic. In addition to testing your knowledge of multiple areas of math, the GRE makes itself even more challenging by wording questions in ways that require more logic and analysis to find the correct answer. This is especially true in the Quantitative Reasoning section. Even though the math tested isn’t that challenging, the wording often makes it harder than the quantitative sections of the SAT and ACT. How is the GRE hard because of this? This can be an especially frustrating aspect of the exam because you may know all the content needed to do well, but you end up getting tripped up by the wording of the questions by not understanding what’s being asked or being fooled into selecting an incorrect answer. Who This Affects Most: Those who haven’t taken standardized tests recently or don’t have a lot of experience with them. How to Overcome It: The way to avoid this issue is to do so many practice problems that you begin to see through the GRE’s tricks and are no longer fooled by them. Take multiple practice quizzes and tests and, for each one, go through every question you answered incorrectly and make sure you understand what went wrong so you can avoid making those same mistakes in the future. Like most standardized tests, the GRE doesn’t give you much time to answer each question. You’ll get 30 minutes to write each essay and an average of one minute and 30 seconds to answer each verbal question and one minute and 45 seconds to answer each math question. That means you’ll have to be aware of the time for the entire test. How difficult is the GRE because of time pressure? Even if you know everything you need to know in order to ace the GRE, you won’t get a high score if you can’t answer a lot of questions because you ran out of time. You’ll need to work quickly and efficiently throughout the test in order to get to all the questions. Who This Affects Most: Slow readers and people who struggle to complete standardized tests (or any tests) in the time allotted. How to Overcome It: Practice, practice, practice! The more familiar you become with the GRE and the types of questions it asks, the more quickly you’ll be able to answer questions. Be sure to take timed practice exams to see which sections you run out of time most often on and to track your progress. Also be aware of where you tend to spend a lot of time. Do the critical reading passages take you forever to get through? Do you get stuck on a math problem and lose track of the time, wasting valuable minutes trying to solve it? Focus specifically on eliminating these problem areas, and make it a habit to move onto the next question if you’ve spent over a minute looking at a question and still have no idea how to solve it. The Analytical Writing section of the GRE requires you to write two essays, which is more than most other standardized tests: The first essay will ask you to take a position on an issue and support that idea with evidence, and the second prompt will ask you to critique the weaknesses in a given argument. You’ll have 30 minutes to complete each essay. Many people find the Analytical Writing section intimidating because you can’t just select choice “A” and hope for the best. You’ll have to compose two complete essays within an hour. Who This Affects Most: ESL students and those who aren’t confident in their writing skills. How to Overcome It: Become familiar with the essay prompts and essay rubrics so you know what to expect. ETS also has published the entire list of possible prompts for both the Analyze an Issue and Analyze an Argument essays, so you can know exactly what to expect. The SAT and ACT are both still taken with paper and pencil, but almost everyone who takes the GRE does so on the computer. This can throw some people for a loop because they’re not used to seeing questions and answers on a screen and they prefer to be able to hold and write directly on the test. This means you may need to change some of your test-taking strategies, such as scribbling notes in the margins or crossing out answers you’ve eliminated. Additionally, the GRE is also section-level adaptive. There are two sections each for Verbal Reasoning and Quantitative Reasoning, and how well you do on the first section of each subject determines the overall difficulty of the questions in the second section. The better you did on the first section, the more difficult the questions will be on the second section. Some test-takers are stressed or confused by adaptive testing and waste valuable test time trying to estimate how well they did on the first section by judging the difficulty of questions in the second section. Who This Affects Most: People not used to computer-based or adaptive testing. How to Overcome It: Familiarize yourself with the format of the computer-based GRE. ETS, the people who create and administer the GRE, have two computer-based practice GREs you can download for free. These follow the exact format of the computer-based GRE so you know what to expect on test day. Try to take additional unofficial GREs on the computer as well to become more comfortable with the format. As for adaptive testing, don’t let it affect you or the way you answer test questions. Trying to guess how well you’ve done won’t help you get a higher score, and it will only cause you to lose time on the test. Focus on the questions in front of you, and don’t worry about your score until you’ve finished the exam. Don’t give up; computer-based tests aren’t as confusing as you may think! If you’ve read through been reading through this guide wondering how you’ll ever do well on the GRE, fear not! Not everything on the GRE is tough. Below are four ways in which the GRE is actually less hard than you’re expecting. Another point to remember is that, no matter how tricky a question is on Verbal or Quantitative Reasoning, you can always take a random guess and hope for the best since the exam is multiple choice. Besides the Analytical Writing section, the entire GRE is multiple choice; there are no fill-in-the-blank or short answer questions. There’s also no penalty for guessing, so if you have no idea how to solve a problem, give it your best guess and don’t stress too much about it. Reading Comprehension questions, which require you to read a passage on a specific topic and answer multiple questions on it, may seem daunting, but they’re actually often easier than you may think. This is because every single Reading Comprehension question must be objectively correct. This means that, for every question, there is an answer that is supported evidence in the passage itself. You’ll never need to solve a question by going with what “feels right” because there will always be proof in the passage. You just need to find it! Even though the math questions on the GRE can be tricky, they actually test a lower level of math than many other standardized tests do. There are no trigonometry or calculus questions on the GRE, so you don’t have to worry about knowing those subjects to do well on the test. The Quantitative Reasoning section of the GRE only tests algebra, geometry, data tables and graphs, and basic statistics, so even if you haven’t taken math in a while, you’ll only need to review a limited set of concepts, all of which you’ve likely been taught already. Also, you’ll have access to an on-screen calculator during Quantitative Reasoning sections so you won’t have to worry about doing arithmetic by hand. Here’s an awesome piece of potential news: you may only really need to worry about one section of the GRE. For many grad programs, admissions officers are only really interested in your scores for the GRE section that relates to what you plan to study (and most don’t consider your Writing score a major factor in admissions decisions). So, if you’re applying to a grad program in chemistry, your Quantitative Reasoning score would be more important, and if you apply to an American literature program, it’d be your Verbal Reasoning score that matters more. This isn’t true for every program, and, even if it is, it doesn’t mean you can completely check out during the other sections, but for many programs it does mean you only have to get an average score on one section, leaving you more time to concentrate on the other section. This means that, in many cases, you now only need to worry about getting a top score on one section of the test instead of the entire GRE. Now that you have a better idea of how challenging the GRE is, follow these three tips during your preparations so that you’ll feel confident and ready to crush the GRE on exam day, no matter how hard the GRE really is. We’ve mentioned it throughout this article; studying the GRE and becoming familiar with its format will be a massive help. Read up on the GRE’s format, answer practice questions, and generally get to know the test inside and out. Analytical Writing: Be sure to read over the list of potential prompts. Quantitative Reasoning: Study the math topics you’ll be tested on. Verbal Reasoning: Become familiar with common vocab words found on the exam. The better you know the test, the more comfortable you’ll be on exam day and the easier it will be for you to spot any tricks designed to fool you into selecting the wrong answer. 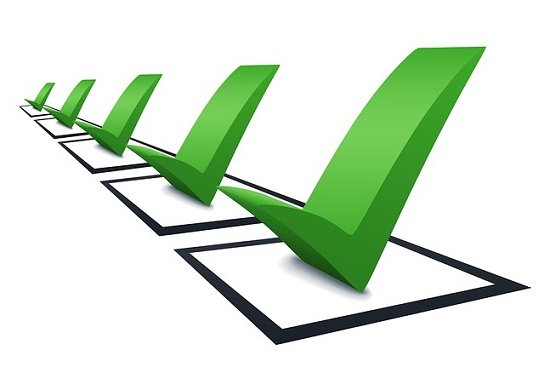 Your test prep absolutely needs to include taking full-length practice GREs so you can become more familiar with the test and track your progress. During your studying, try to fit in at least 2-3 practice GREs, spread out regularly, so you can see where you’ve made improvements and what you still need to work on. Be sure to take these exams timed and with minimal distractions so that they’re as close to the real GRE as they can be. This will get you the most accurate score and idea of where you need to improve. Computer-based practice GREs are best since they’ll get you used to what taking the real GRE on the computer will be like. You can download software with two official practice tests, and GRE prep books often include a one or two unofficial paper or computer-based GREs as well. 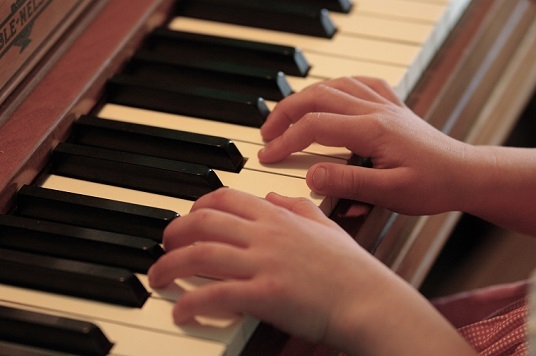 Practice: It’s important for both piano and the GRE. The two essays on the Analytical Writing section can be one of the most intimidating parts of the GRE, but they’re also one of the easiest parts to prepare for. If it’s been awhile since you’ve done a lot of writing, refamiliarize yourself with how to write a standard five-paragraph essay. There are many online resources that explain what it is and how to write one. As mentioned above, all the possible topics you could see in the essay prompts are available online. Go over all of the topics for the Analyze an Issue and Analyze an Argument essays so that you’re prepared on test day. When you’re reviewing the prompts, look for common trends in what types of issues are presented and common errors in logic and structure in the arguments so you can start to see patterns and get used to answering those types of questions. You can also do complete practice essays if you want more practice, or even just write out outlines for different prompts. When should you take the GRE? Check out our guide to learn exactly when you should take the GRE in order to get your best score! How much can studying help you raise your GRE score? Learn how much you can expect to raise your GRE score through test prep and get tips to maximize your improvements!